The focus of the football world is at the African Nations Cup at the moment and will be shifted to the 2010 World Cup come June, but UEFA president Michel Platini is already thinking about Euro 2012. The tournament will be co-hosted by Poland and Ukraine, and both nations have been criticised more than once for the slow progress in infrastructure improvements and stadium construction projects. Platini has now acknowledged that the decision to grant the two nations the hosting rights for Euro 2012 could be seen as a bit of a risky decision. “It’s important to bear in mind that Poland and Ukraine have no experience in organising such events. That’s one of the reasons why it is a great adventure for us. 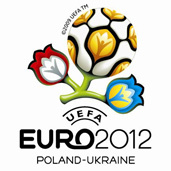 One could even say that it’s a bit risky to let them organise Euro 2012,” Platini told reporters.